There are a number of factors at work in the Louisiana Treasurer’s race between Neil Riser, John Schroder, Angele Davis and Derrick Edwards, though none of them might be apparent to a casual observer since it’s fairly clear the public as a whole is almost completely disengaged from electoral politics in Louisiana at the moment. But two of those factors which have come to the forefront are very much related, and they combine to tell a story which is interesting – if perhaps a little discouraging to some conservative voters out there. The first, we covered a couple of weeks ago; namely, that Edwards, the sole Democrat in the race, cannot get his party to back him. We’ve yet to hear a satisfactory explanation for why this is; after all, today’s Democrat Party operates chiefly on the basis of identity politics and Derrick Edwards is more or less an identity politics Powerball ticket – he’s black, for one thing, and he’s a quadriplegic for another. The fact that he’s becoming a serial candidate for statewide office could dissuade his party’s muckety-mucks from backing him; it’s fairly clear he’s not going to get to 50 percent in the primary and whichever Republican makes it into the runoff is likely to beat him convincingly. Still, the Democrats had a very long time to find a more well-heeled and better-credentialed candidate and couldn’t do it. You’d think they’d be grateful to Edwards for being willing to carry their standard given that failure, rather than denying it to him. Edwards, should he have interest in future campaigns, might want to remember the slight – heck, what would make things exceptionally interesting would be, should he make the runoff as expected, to publicly repudiate the party and switch either to independent or even Republican (his campaign rhetoric and personal story does put him to the right of most of his fellow Dem politicos). 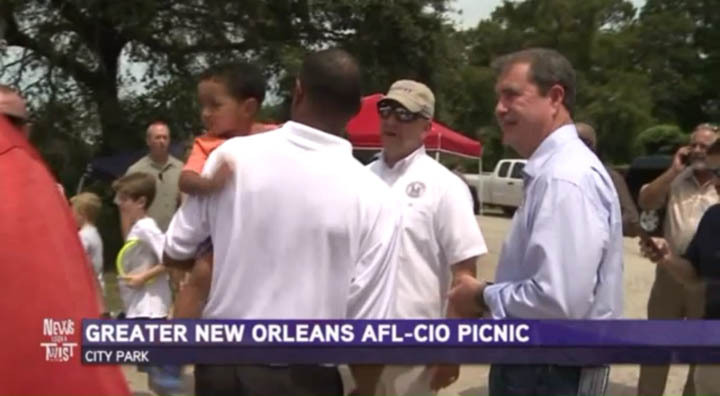 But the second is a relatively new thing, which is that Neil Riser is in New Orleans politicking among Democrats. That’s something nobody would have thought possible given his background as a rock-solid conservative from out in the country in North Louisiana. Of the Republican candidates in the race you’d think Riser might be the one least poised to make a run at the Democrat vote in New Orleans. Culturally he’s a bad fit, ideologically he’s almost diametrically opposed to the dominant political strain there, New Orleans Democrats don’t much take to the social positions he takes…it seems hopeless. Meanwhile, Angele Davis used to work for Mitch Landrieu for a while and one would think might still have some contacts while would be politically beneficial and John Schroder, who grew up next door in Jefferson Parish and has the accent to prove it, did some work with the Legislative Black Caucus in coming up with fiscal reform proposals during the Jindal administration (those didn’t go anywhere, but at least he had those contacts). But Riser gets along with a few of the black Democrats in the state Senate, for example Carter and Morrell, and that helped him put the Dooky Chase event together. And while it might seem a fool’s errand for him to court New Orleans Democrats, one thing is true – being there does count. He’s out there asking for votes, which is at least marginally better than not asking for them. And this is not a normal Louisiana election. As we noted, the electorate in Louisiana simply doesn’t care about the Treasurer’s race. Every poll shows that, and the fundraising numbers show it, too. The public isn’t engaged in the race yet and none of the candidates are really moving the needle. By all indications turnout is going to be exceptionally low around the state. But not in New Orleans, because there’s a mayor’s race going on in the Big Easy which is likely to be as hot as the city has seen in a long time. Michael Bagneris, Desiree Charbonnet and LaToya Cantrell are all racking up support and things appear relatively close between them. Turnout in Orleans Parish is going to be pretty high. So if turnout in Orleans will be high and it will be terrible everywhere else in the state, what does that tell you? Obviously, the answer is whichever Republican can manage to peel off the most Democrat votes from the Crescent City will be the one who makes the runoff with Edwards. And since the Democrats refuse to back their own candidate, there is an opening for someone to peel off those votes. Now, as we said Riser might have the toughest hill to climb in order to connect with the voters he’s courting, so this strategy could fall on its face. And Riser could well pay a price for courting those Democrats among conservative voters who might be most disposed to support him otherwise. But this is a classic case of “don’t hate the player; hate the game” – when you have a jungle primary like Louisiana does and a special election like this one is, you’re going to have some unconventional strategies at play. The estimates we’re hearing say that statewide, the turnout for the October primary elections will be between 18 and 20 percent – but in New Orleans, the mayor’s race will push it to 45 to 50 percent. 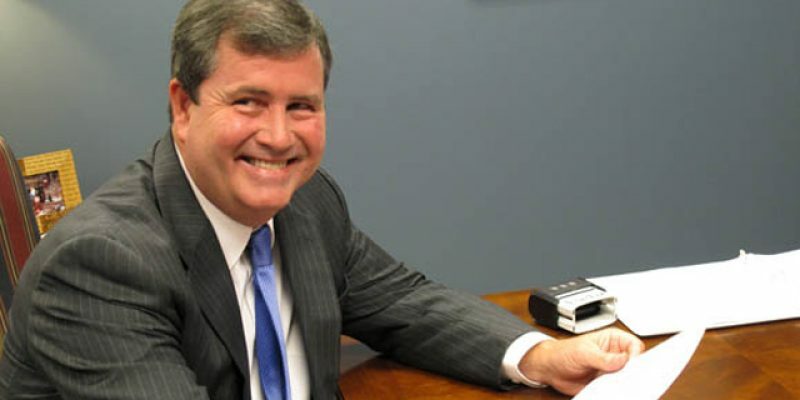 Before it’s over, you can bet Riser won’t be the only Republican chasing votes in Orleans Parish.